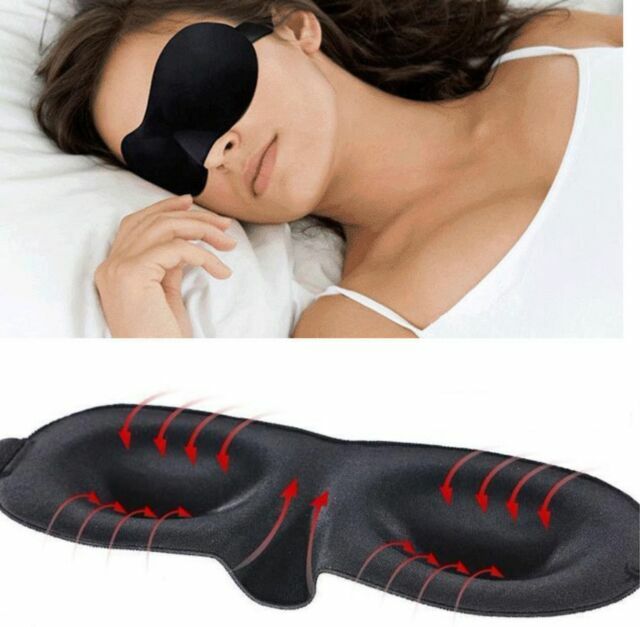 good value for the money, comfortable and better then the flat sleep masks that i've tried. this at least conforms to your face the ONLY complaint if you'd call it is that at the lower portion of the mask by the eyes a little & i mean little light comes thru. other than that i would @least recommend giving it a try. I used it on flights between Vancouver and Taipei. The mask is comfortable and since the lights in the cabin were already turned off, the mask didn't really do much other than to bock off various lights such as those coming from nearby video screens. There is a tiny gap at the bottom of the mask. Nice 3D mask to sleep with, very comfy. Very comfort wearing it, much better than i expected, feel cool around eyes not warm i guess it's the material use, started to rip apart after 3-4 months, some people might think that's the down side of the product, or i think maybe just the way i sleep and move at night. but hey, only a buck a pair, what could possible go wrong. i bought 3 pairs this time. Mask is simply giant, see comparison with standard size. I'm big guy (194cm, 95kg) and also for me is very big so I cannot use it. Unfortunately I cannot recommend it. My suggestion is to offer smaller version. Quality is good.